BOSTON -- Two co-founders and 12 other former employees of a Massachusetts compounding pharmacy blamed for a fungal meningitis outbreak that killed 64 people were arrested early Wednesday, officials said. Barry Cadden, a co-founder of the New England Compounding Center, and Glenn Adam Chin, a pharmacist who was in charge of the sterile room, were hit with the most serious charges, accused in a federal racketeering indictment of causing the deaths of patients in several states by "acting in wanton and willful disregard of the likelihood" that their actions would cause death or great bodily harm. NECC co-founder Greg Conigliaro was booked by police in Southborough, outside Boston, before 7 a.m. Wednesday, CBS Boston station WBZ-TV reports. More than 750 people in 20 states were sickened and 64 died after they contracted fungal meningitis and other illnesses from tainted steroids made by the company. The steroids given were for medical purposes, not for body building; most received the injections for back pain. Cadden and Chin are charged with causing the deaths of patients in several states, including Michigan, Tennessee and Indiana. The others charged in an indictment unsealed Wednesday face charges ranging from mail fraud to the introduction of adulterated and misbranded drugs into interstate commerce. The pharmacy gave up its license and filed for bankruptcy protection after it was flooded with hundreds of lawsuits filed by victims and their families. 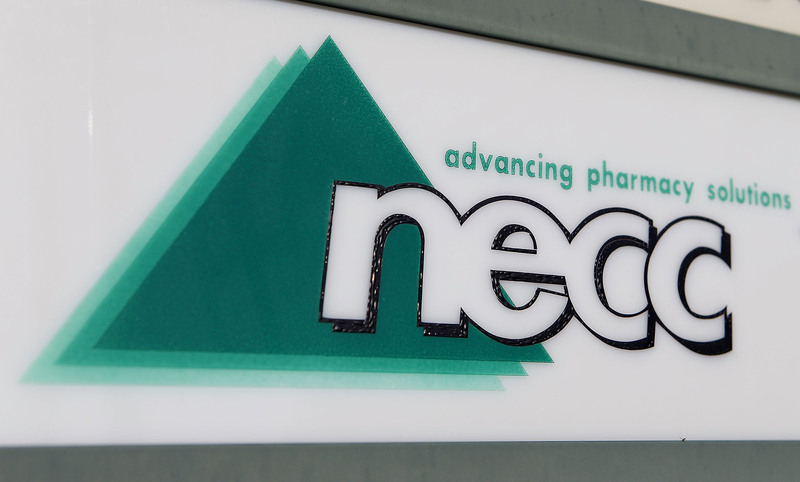 NECC was founded in 1998 by brothers-in-law Cadden and Conigliaro. Cadden, who is married to Conigliaro's sister, Lisa, earned a pharmacy degree from the University of Rhode Island. Conigliaro is an engineer. Linda Nedroscik of Howell, Michigan, said her husband, John, survived the tainted injection but is still "not well." She said the 64-year-old "still struggles, has nightmares," but she's grateful he's "made it." "It's hard to say it's a relief because it doesn't change anything for us in our physical lives, but it takes a burden off emotionally," she said. Nedroscik said her family is "out a lot of money," and they've been led to believe that there won't be any financial recourse. Still, she said, news of the indictments "is more important." Chin's lawyer, Stephen Weymouth, said he was stunned that prosecutors charged his client with second-degree murder under the federal racketeering law and that they allege that he and Cadden caused the death of patients. "He feels hugely remorseful for everything that's happened -- for the injuries and the deaths -- but he never intended to cause harm to anybody," Weymouth said. "It seems to be a bit of an overreach." Messages were left for lawyers for 11 other defendants. Lawyers for two of the defendants could not immediately be located. Among the accusations in the indictment are that Cadden, Chin and others used expired ingredients in drugs, failed to properly sterilize drugs and failed to test drugs to make sure they were sterile. The U.S. Food and Drug Administration has cited numerous unsafe practices at the compounding pharmacy, which custom mixed medications and supplied them directly to hospitals and doctors. Compounding pharmacies are not subject to the same tight regulations and federal oversight as retail pharmacies. An FDA agent also said pharmacy technicians were instructed to lie on cleaning logs, showing rooms were properly cleaned when they had not been. The contaminated medication was discovered in the fall of 2012. Regulators later found a host of potential contaminants at the company's Framingham plant, including standing water, mold, water droplets and dirty equipment. A home number for Cadden rang busy, and a woman who answered the phone at a listing for Conigliaro said it was the wrong number. Chin, a former supervisory pharmacist, was charged with mail fraud in September.